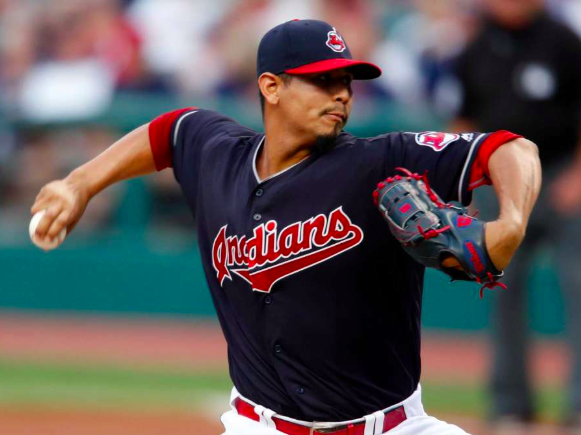 Carlos Carrasco looks to have a huge year. These four pitchers combined to start 122 of the 164 games during the 2018 season. The other 40 were started by Josh Tomlin, Shane Bieber and Adam Plutko. Tomlin struggled last season and is currently a free agent who is not expected to return to the Indians. As for Bieber and Plutko, they will most probably be fighting each other for the 5thspot in the rotation. Bieber went 11 – 5 with a 4.55 ERA while Plutko went 4 – 5 with a 5.28 ERA. On the surface, Bieber’s numbers are better, but it is important to understand that Plutko also pitched out of the bullpen in five of his 17 games he played and not all his bullpen innings were comparable to his starting innings. Both are expected to be contributors to the team not only in 2019 but for years to come.